BlissWood Bed and Breakfast Ranch offers a variety of Texas vacation packages for families, friends and couples who want to make their stays even more special. 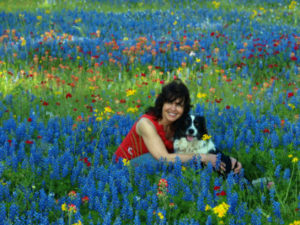 Our most popular packages are those that make for ultimate romantic getaways in Texas! Carol’s at Cat Spring Restaurant is also available to guests at any time, and we can deliver dinners to your lodging and romantic picnics at your choice of locations. If you don’t see what you’re looking for, email us or call 713-301-3235 and we will do our best to make your ranch vacation truly memorable. If you are looking for the perfect gift you can also buy gift certificates for our guest ranch online. Celebrate your relationship in a peaceful, quiet setting in the country. We offer packages perfect for a relaxing retreat, popping the question, or celebrating a milestone anniversary. 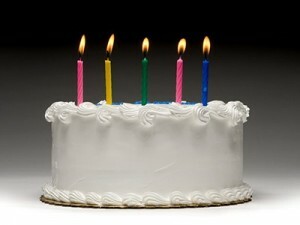 See our Special Occasions packages for additional enhancements, including private in-room massages. Stay 2 nights & enjoy a complimentary picnic basket delivered right to your room. 2 night minimum midweek stay required (Monday – Thursday nights). New reservations only. Valid May 1st – 23rd. $269 per couple, plus tax & gratuity. Lodging not included in package. Two night minimum stay required, package based on two people for 2 nights. *Unfortunately we cannot accommodate gluten-free diets. $199 per couple, plus cost of accommodations, tax & gratuity. *Unfortunately we cannot accommodate gluten-free diets. Add $60 during Valentine’s week due to seasonal price increases. $169 per couple, plus cost of accommodations & tax. You will be guided on horseback to a picnic waiting for you at our private lake. Relax awhile and marvel at the sounds of nature and the serene lake, and a golf cart will be available for you at the lake to return to your lodging. *Unfortunately we cannot accommodate gluten-free diets. 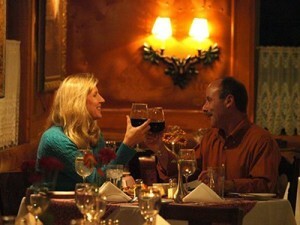 Enjoy a romantic dinner for two delivered to your accommodations by Carol’s at Cat Spring Restaurant. 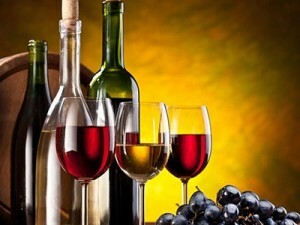 Local Specialties Dinner Special : $89 per couple, plus tax & gratuity. 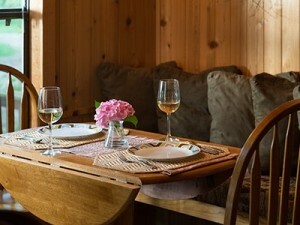 House Specialties Dinner Special : $129 per couple, plus tax & gratuity. Enjoy a two-hour photo shoot of your ranch activities and/or around picturesque locations around the ranch with award-winning photographer Skeeter Hagler (www.skeeterhagler.net). $399 for two hours. *Not valid for wedding or elopements, ranch activities only. Enjoy a 60-minute massage by a licensed massage therapist in the privacy of your room. $119 per person, plus tax & gratuity. Enjoy a 60-minute massage together by licensed massage therapists in the privacy of your room. A perfect secluded setting to pop the question. Enjoy a guided horseback ride to Enchanted Lake, where there will be champagne, flowers, and chocolate-dipped strawberries waiting! Horseback Ride to Enchanted Lake. Waiting for you in the Gazebo at the lake, bottle of chilled Champagne with souvenir glasses. After she (or he!) 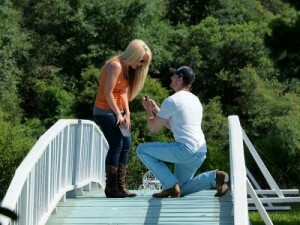 says “yes,” take the waiting golf cart back to your lodging. $239 per couple, plus cost of accommodations, tax & gratuity. 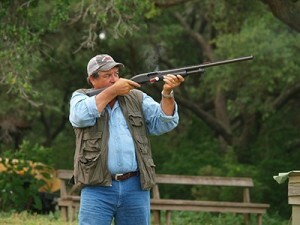 If you prefer this package without the horseback ride (no golf cart waiting), pricing is $149. The is a 30% surcharge added to package price and photography for scheduling during holidays, Valentine’s, spring break, and special events weeks. $199 per couple, plus tax & gratuity. Includes venue fee. 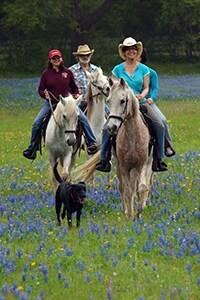 Have an authentic ranch experience with our Texas vacation packages. A fun way to bond with family, friends, or have an adventure with someone special. Learn more about all our great on-site activities, which can also be booked individually. Bundle & Save! Package Price $229 per person, plus cost of accommodations & tax. Must be 13 years or older. Two-night minimum stay required OR Early Arrival/Late Stay package must be added for one night reservations. Remember, all ranch activities can be booked a la carte as well! $69 for two people, $29 per additional person (plus cost of accommodations & tax). Call us to customize or add additional guests. 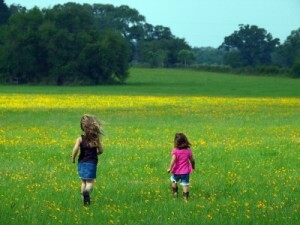 Our ranch offers plenty of room to roam and enjoy the scenery with beautiful meadows, forests, creeks, and ponds. We offer guided walking pace trail rides for adults and children. 1 Hour Guided Horseback Ride: $79 per guest, $99 per non-lodging guest, plus tax. Children must be 11 or older. Children’s Horseback Ride: $29 per half hour, plus tax. Perfect for the little ones 10 and younger, they get to take a tour of the barnyard area with our most gentle horses on a lead line. Celebrate the special moments in life at our Texas Hill Country Bed & Breakfast. Enhance your stay with these special packages and add-ons for a truly memorable getaway. Surprise someone special this year with a getaway to our Texas guest ranch! $229 per couple, plus cost of accommodations, tax & gratuity. Bliss Before Baby. This package is specially designed for expecting parents to get away on a relaxing vacation before your new baby arrives. $159 per couple, plus cost of accommodations, tax & gratuity. BlissWood is the perfect setting for a bachelorette party in Texas that your girlfriends will never forget! $239 per person, plus cost of accommodations, tax & gratuity. Create your own package by adding any of the below add-ons to your room reservation. To book online simply choose your room, then select the item(s) that you want to add to your reservation. To customize any of our Texas vacation packages email us or call 713-301-3235. $49 per couple, plus tax & gratuity. For guests of BlissWood only. 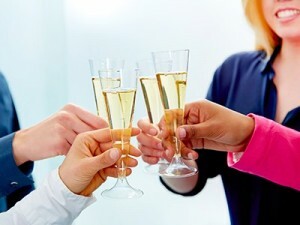 Upon arrival enjoy your choice of a chilled bottle of champagne, white or red wine. 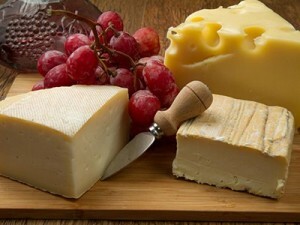 Enjoy an assortment of cheeses accompanied by crackers waiting in your room. 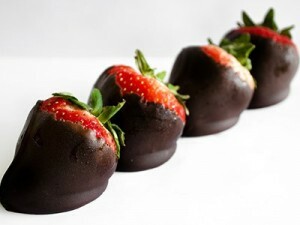 Indulge with a half dozen hand-dipped chocolate strawberries waiting in your room. 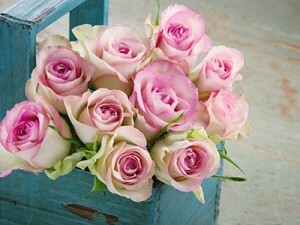 Be welcomed by an arrangement of fresh flowers placed in your room. 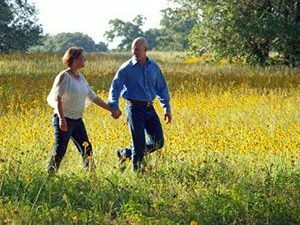 BlissWood Bed and Breakfast Ranch is the perfect destination for romantic weekend getaways in Texas. We look forward to giving you the best ranch experience at our Texas bed and breakfast.